I know how much it is difficult for a person who discovers saddles, to choose one. Flat, hollow, semi flat, semi hollow, monodistrict or not, new or used saddle, which size, which budget. That of questions ! The saddle has to insure you of the stability and some looseness, what will allow you a bigger ease in the execution. What are the best saddles? Everybody knows Antarès, Butet, Devoucoux... Before proposing a top of the best brands of saddles, it is good to make at once a clarification : say that a brand is better than an other one has no value of the absolute truth. It depends on your practice, on your budget and on the couple rider / horse. Here are the notices which I have on the best brands of saddles, for lack of having an opinion on the best. I suggest you making the top of the best saddles according to the disciplines. For the mixed saddles, Delgrange is one if not the best brand of saddles. Delgrange, I do not know which miracle I have never seen a horse to which it did not go ! 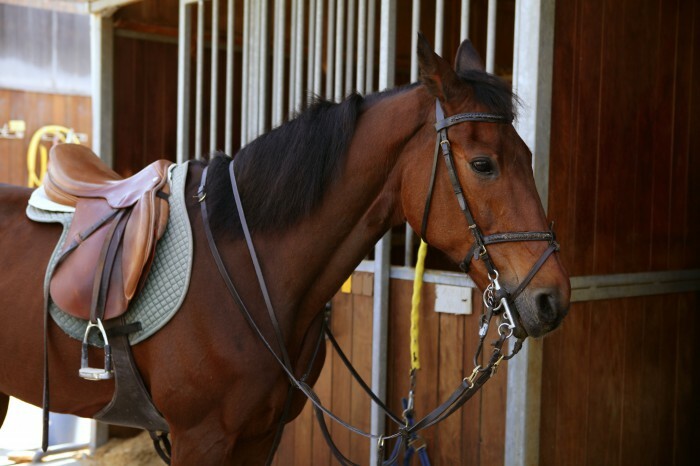 For dressage : saddles Antarès and saddles Devoucoux are very well for the level placement and for horses. For jumping : Delgrange, Devoucoux, Butet, Cwd, Antarès are the very best saddles. To find the best brands of saddles, go to the best site for used saddles for sale. You will buy here fine used saddles !